Hard water spots and etching can be a problem to remove with conventional methods, especially on paintwork, where you have spent days detailing the ride to near perfection! 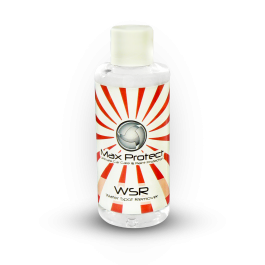 Max Protect Hard Water Spot Remover is an easy to use, non-abrasive product, which will not scratch the paint when taking out the water spots - very easy and quick to use. Very effective if used as pre-cleaner for paint before polishing stage - removes water stains and etching so you can start on clean paint. Better start - better final result! If using on glass, this product leaves crystal clear glass with no smears, and creates a super hydrophobic finish (non-permanent). We recommend using this product as a pre-cleaner prior to our Ultimate Glass Coat PRO application, or use it for cleaning glass on a regular basis - you will love the crystal clear finish this product creates!